H.E. 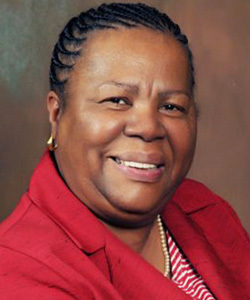 Naledi Pandor is the Minister of Science and Technology, a position she previously held from 2009 to 2012. She has also served as Minister of both Education and Home Affairs in the government of South Africa. He is a strong advocate for STEM education in South Africa and the rest of Africa. In the mid to late 90s, she served as both the Deputy Chairperson and Chairperson of the Tertiary Education Fund of South Africa (TEFSA) and also held high level political positions. She holds Masters Degrees in Education (University of London) and Linguistics (University of Stellenbosch).